A retired lab manager, Joan Miller is a genetic genealogist who uses DNA, technology and social media to complement traditional genealogy research. Her genetic genealogy activities include Y-DNA project administrator and coordination of the Alberta Family Histories Society (AFHS) DNA Special Interest Group. Joan has been involved in genealogical research for over 20 years and she tries hard not to bore the rest of the family with her hobby (addiction?). Several family members do read her blog and they all love the family tree banners she creates and the stories she collects. Joan will be teaching a Build Your Family Tree session for 8 to 10 years at the Calgary Public Library in November of 2011. She is a member of the Genealogical Speaker’s Guild, the International Society of Genetic Genealogists and various genealogy societies. This busy genealogist writes a regular column entitled “From the Geneasphere” for “Chinook”, a publication of the Alberta Family History Society and serves on the Public Relations committee of that Society. Joan is the creator of the Luxegen Genealogy Blog which was named in Family Tree Magazine’s Top 40 Genealogy Blogs for 2011. 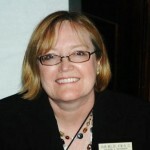 She served as an Official Blogger for Rootstech 2011 and is delighted to be continuing in that role in 2012. Joan, who lives with her husband and their daughter’s cat in Calgary, Alberta, Canada enjoys varied activities. She volunteers with Toastmasters International, plays indoor soccer, relishes outdoor pursuits and travels widely. She has admitted that she is a “Genealogy Conference Junkie”. Find Joan on the web at the Luxegen Genealogy Blog, http://www.luxegen.CA , on twitter @luxegen, on Google+ or by email here. Joan inherited the genealogy gene from her maternal grandmother Isabel Irvine who was a family historian and great story teller. Her grandfather Bill Irvine kept a diary for 60 years! It was inevitable that one of the grandchildren would be interested in pursing their genealogy roots and that is Joan. Her genealogy interest goes back to around 1990. Luxegen was created in 2001 to provide a web presence for Joan Miller’s genealogy research. The Luxegen blog (luxegen.ca) was added in 2008 to give voice to a passion for genealogy and family history. My lists so I can remember! Alberta Family Histories Society – PR Committee Member and Social Media Coordinator – maintain the AFHS Blog , Twitter @AlbertaFHS, AFHS on Facebook and Linkedin. Toastmasters International – Member Bedstone Olympics Toastmasters, VP membership for Wit Pleasure Advanced Toastmasters. Awarded Distinguished Toastmaster January 2012. From the Geneasphere: Capturing your Family Oral History. Chinook Volume 32, Number 1. Fall, October 2011. From the Geneasphere: Cyndi’s List by Joan Miller (columnist). Chinook Volume 31, Number 4. Summer, July 2011. AFHS Genealogy Blog by Joan Miller. Chinook Volume 30, Number 4. Summer July 2010. Minnie Moss, Mother of Meeting Lake and Verna Aumack by B. Joan Miller and Yvonne Aumack. Women Pioneers of Saskatchewan Book 2 in press 2010. Isabel (Woodland) Irvine: Women Pioneers of Saskatchewan by B. Joan Miller and Robert F. Irvine. Chinook Volume 30, Number 3. April 2010. Book Review and Interview: Women Pioneers of Saskatchewan by Joan Miller. Chinook volume 30, Number 2. January 2010. Blogger of Honor. Second Annual Arizona Family History Expo, Mesa January 22,23, 2009. Article contribution “Isabel Irvine”. Women Pioneers of Saskatchewan. Authors: B Joan Miller, Robert Irvine. 2009. Saskatchewan Genealogical Society. Editor Celeste D. Rider. “Family History Portals“. Blog post used with permission in Alberta Family Histories Society Award Winning Publication Chinook volume 29, Number 4. Summer, July 2009. Guest speaker on Geneabloggers Blog Talk Radio – September 23rd, 2011. How not to bore your family with genealogy. Sept. 29, 2010. Family Tree Detective: Genealogy 101. University of Calgary, Faculty Women’s Club. Family Tree DNA Project Administrators conference – November 2 to 4, 2011. Houston, Texas. Webinar – Exploring FamilyLink.com and WorldVitalRecords.com by their founder Paul Allen, September 16, 2011. LegacyFamilyTree. June 10 -12, 2011. Southern California Genealogical Society Jamboree, Burbank, California. Attended as speaker and participant. May 17, 2011 Email Marketing, Leveraging Social Media Network Seminar (collecting ideas in my role as social media coordinator for our genealogical society). Sponsored by Constant Contact. May 7, 2011. Social Media Marketing Unplugged. Calgary. Alberta (great ideas to benefit non profits such as our genealogy society). April 16, 17, 2011. Alberta Genealogical Society: Unlocking Doors to the Past, Edmonton, AB. 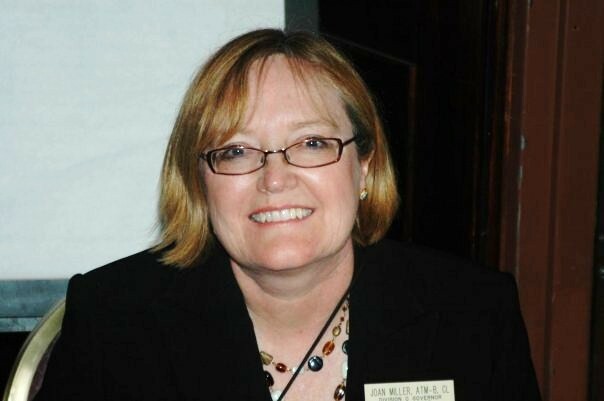 May 10, 2010 – Dr. Colleen Fitzpatrick – Forensic Genealogy, CSI Meets Roots; A Different Kind of DNA Talk; The Hand in the Snow and the Crash of Northwest Flight 4422. Gavin E. Duggan, B Joan Miller, Frank R. Jirik, Hans J. Vogel. Metabolic profiling of vitamin C deficiency in Gulo -/- using proton NMR spectroscopy. J Biomol NMR. 2011 Apr;49(3-4):165-73. Epub 2011 Mar 1. Heit B, Robbins SM, Downey CM, Guan Z, Colarusso P, Miller BJ, Jirik FR, Kubes P. PTEN functions to ‘prioritize’ chemotactic cues and prevent ‘distraction’ in migrating neutrophils. Nat Immunol. 2008 Jul;9(7):743-52. Epub 2008 Jun 8. Cummings KJ, Kalf D, Moore S, Miller BJ, Jirik FR, Wilson RJ. Superoxide dismutase-1 influences the timing and post-hypoxic stability of neonatal breathing. Adv Exp Med Biol. 2008;605:133-8. Weljie AM, Dowlatabadi R, Miller BJ, Vogel HJ, Jirik FR.An inflammatory arthritis-associated metabolite biomarker pattern revealed by 1H NMR spectroscopy. J Proteome Res. 2007 Sep;6(9):3456-64. Epub 2007 Aug 15. Interests also include: Experiential Learning, genealogy and history books, net marketing advice, electronic gadgets. Grandpa Irvine’s Diaries – This one isn’t moving along to quickly! Linked in Profile – connect with me here!